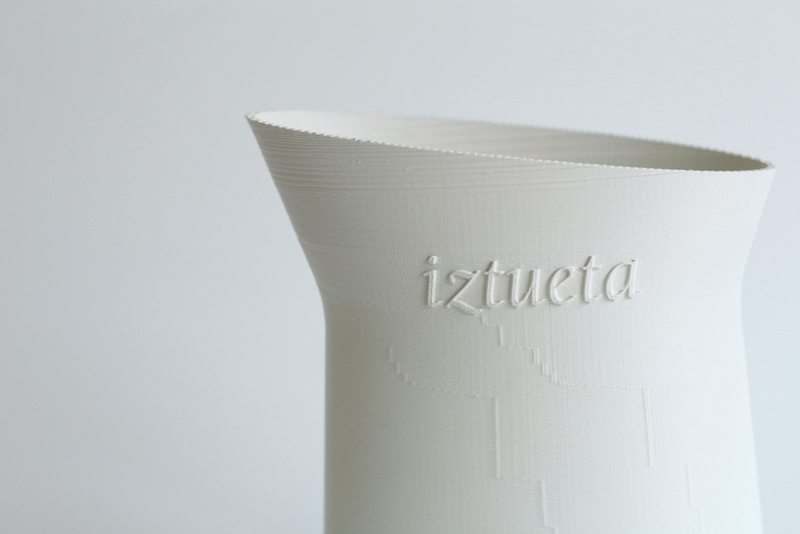 Jug made in 3D printing, container of fresh milk bags. 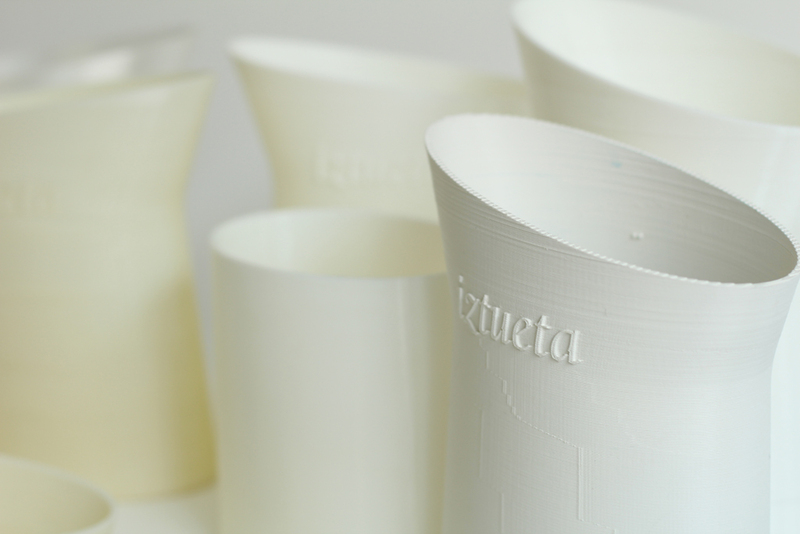 A container jug ​​made in 3D printing has been designed for Iztueta, a milk company, inspired by its tradition of the farmhouse and its high quality products, which take care of the feeding of cows with grass from their meadows, to the best technology and innovation. 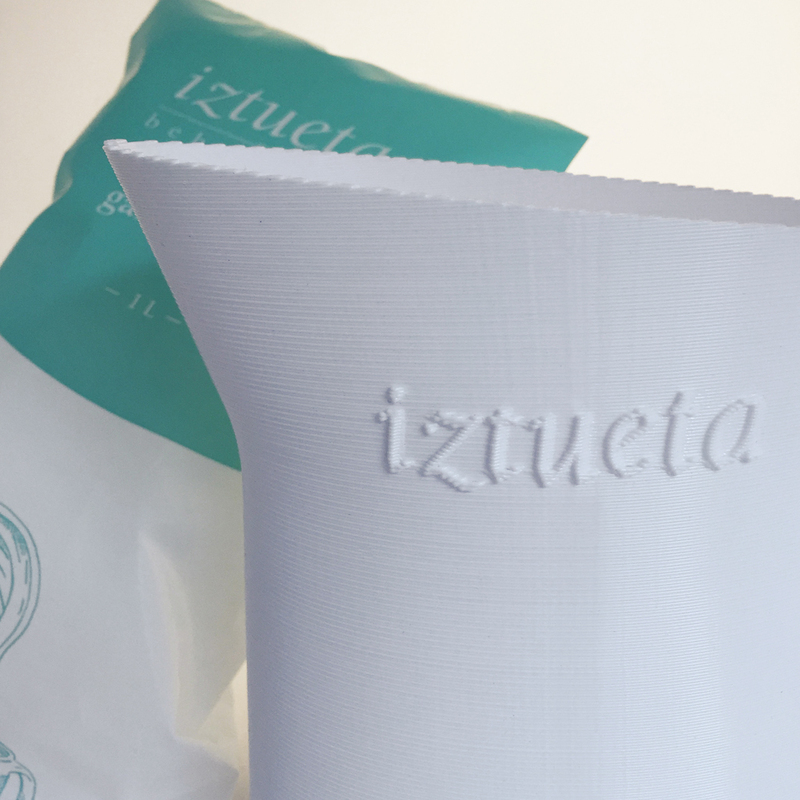 Iztueta, is a small milk producer located in Lazkao, north os Spain, which needed to have its own jug to contain the milk bags, as a merchandising. To give to their customers. 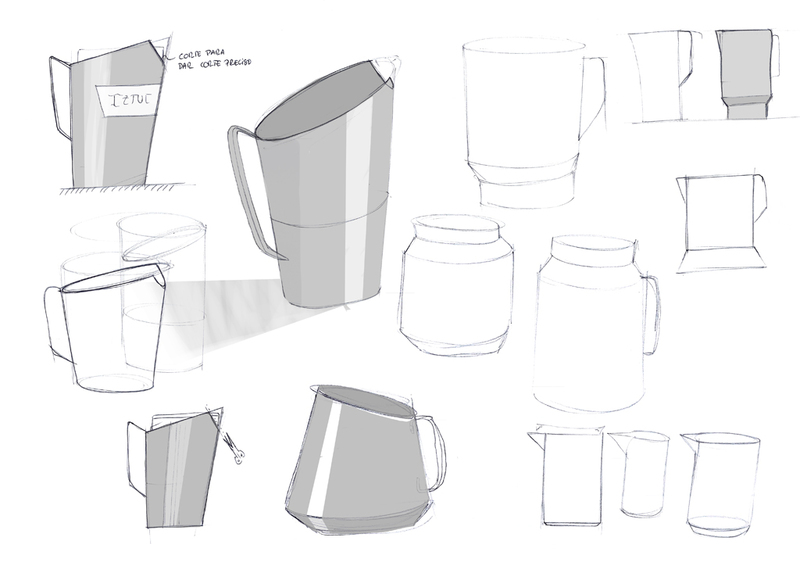 The challenge of the project was the few units that were wanted to be manufactured and the conditionings of usability in the catering establishments. 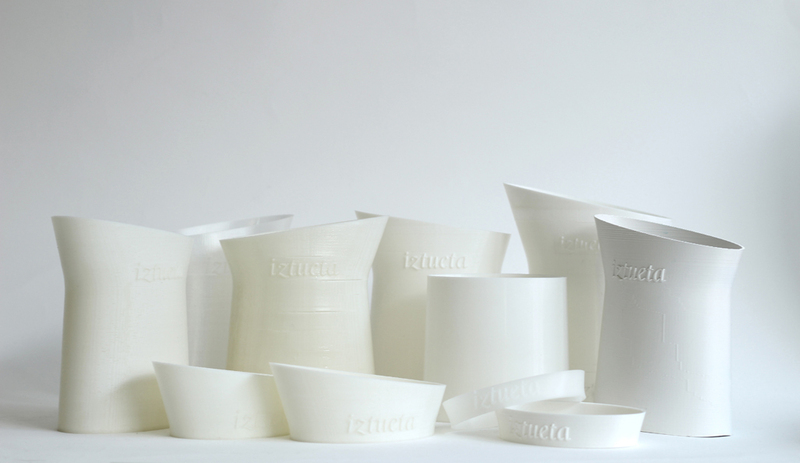 Although, initially thought of traditional forms and materials more focused on Slow Design to show that they are a company with a strong traditional component with four generations dedicated to the production of dairy products. In addition to being very focused on a sustainable production and with a strong rootedness to the land, after many ideas and meetings it was thought that it was better to communicate that they are also an innovative company. That even being a small producer that does not want to increase production, if it wants to do better, trying to innovate in the entire production process, from the care of their pastures and the love of the land with which they feed the cows, until the incorporation of a milk extractor robot that cows come to when they want to be milked. 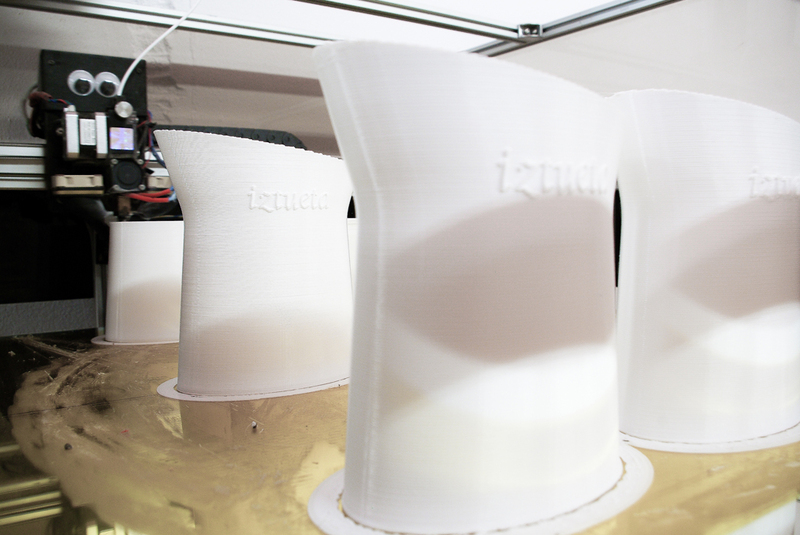 For this reason, we think of 3D printing for its manufacture. This manufacturing system provides identity and a more innovative character and on the other hand, allows a small production without the need for large investments. 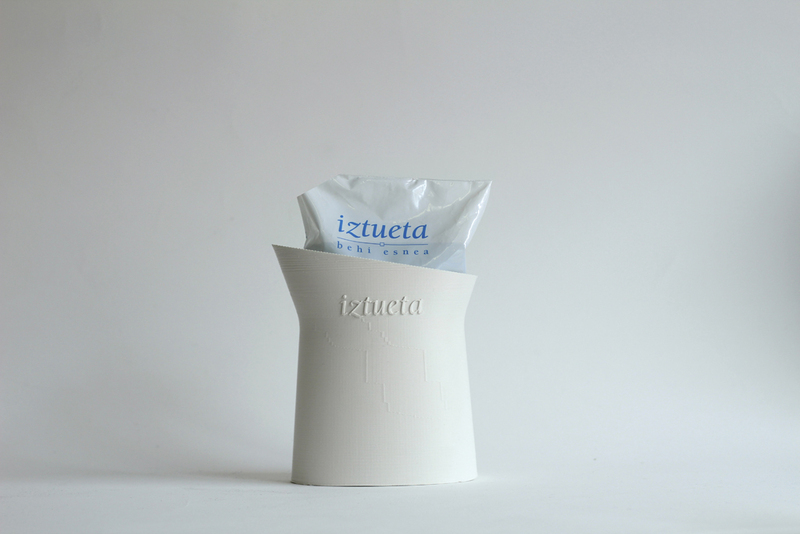 As for its design, formally the jar is inspired by traditional Basque container objects, but with updated forms. A sinuous waist reminds the ancient tools to transport milk. 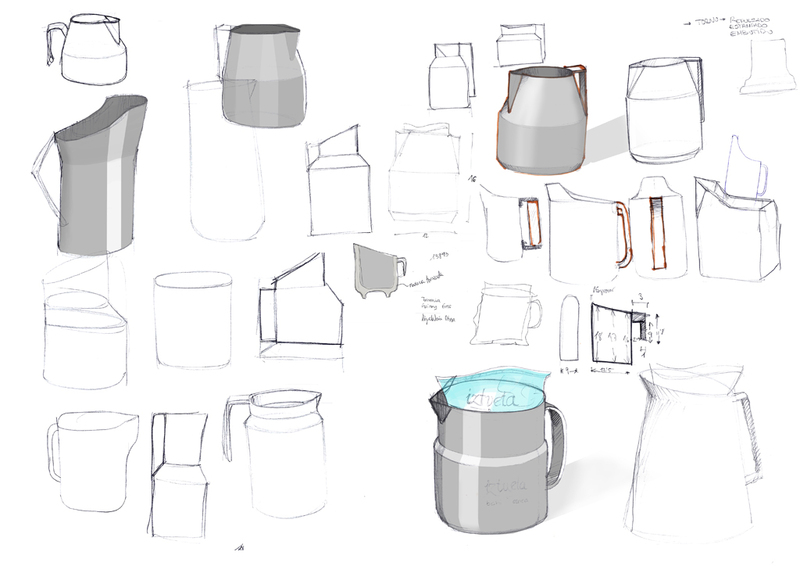 On the other hand, not only the shape evokes the function, but also improves the use, both in the ergonomics of grip, and in the grip of the bag by gravity, emptying the container itself, with the benefit of not spilling the bag when the jug is tilted to serve.